After two and half months of living at home with my parents while job hunting and freelancing for The Gainesville Sun, I finally got some good news. A Gannett paper in Monroe, Louisiana was interested in hiring me as a reporter to cover their city beat. I didn’t really know what to expect. I’d never even been to Monroe or heard of it before I’d applied for the job. In fact, I’d never been to Louisiana or driven more than three hours anywhere, so the thought of driving more than 11 hours to get to the city I’d soon call my “home” sounded daunting. But Louisiana couldn’t be too much different than Florida in terms of climate, right? Maybe slightly colder in the winter. And from what I’d read of Monroe, it seemed like it might be somewhat like Gainesville too: large medical centers, a university, and a tight-knit community about the size of Gainesville, if you include the nearby towns that are grouped into the Monroe Statistical Area. Gainesville might have a much larger university— an enrollment of 50,000 compared to the University of Louisiana-Monroe’s 8,000— but it would suffice. (Before you ask) It’s about four hours from New Orleans. What did I know about Louisiana? That perhaps the French I learned since fourth grade could finally come into use after living 21 years in Florida (Parfait! ), and that Cajun food probably wouldn’t do me much good. Thankfully, I learned after getting to Monroe that being in Northeast Louisiana, they weren’t huge on Cajun cuisine (phew). To my dismay, no French was spoken either (quel dommage). I decided to split the trip up, driving north to Atlanta first to visit some friends and to stop at the Hindu Temple to seek blessings before starting the new job. 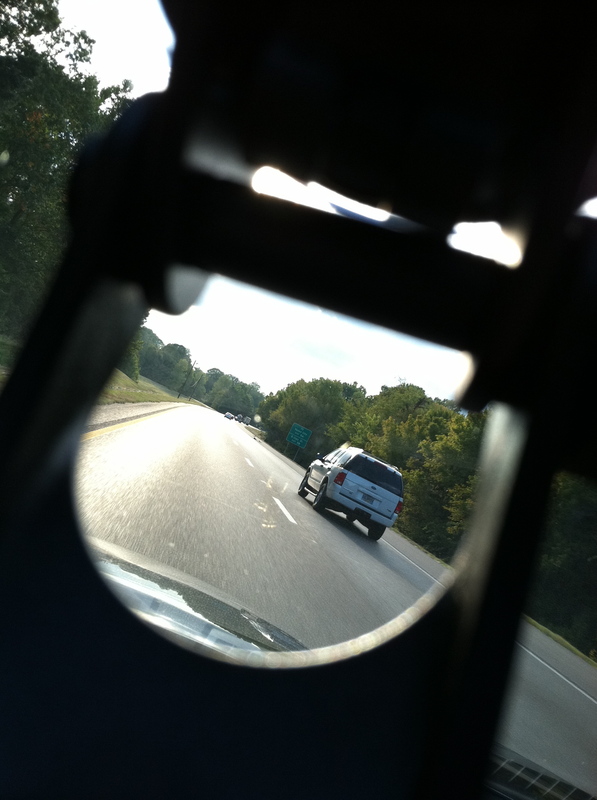 From there, I took I-20 West for…. well, hours, but that initial drive was far from boring. It was exhilarating because I’d never seen Alabama, Mississippi, or Louisiana. Something about driving that far on your own on the freeway is absolutely liberating. Driving from Atlanta, I passed by Atlanta’s Six Flags theme park and Stone Mountain, past the Talladega Superspeedway, through downtown Birmingham, past Jackson University and Jackson Zoo and across the Mississippi River. Finally seeing the first sign for Monroe, I got really excited. It was in that moment that I didn’t care anymore that a few people back in Gainesville raised eyebrows when they learned I’d be moving to Louisiana. Why wasn’t I moving some place more hip like New York City, they asked. Or Boston or Philly? A couple even warned me not to come back with a southern accent (not kidding, though I wish I were). But moving to what they considered the “deep south” turned out to have its benefits– southern hospitality. Since the moment I got here people have been nothing but welcoming and helpful. My bosses, coworkers, sources and absolute strangers have been so accommodating. All this time I thought Gainesville had been a really warm and friendly community, but I’m glad to learn that Monroe is just the same. I don’t think that’s something I’d get from living in a big, bustling city, but I’ll wait until I move to one to find out for sure. For now, all I can say is that compared to the swamps of Florida, the bayous of Louisiana aren’t so far off. Some might call this job offer fate. 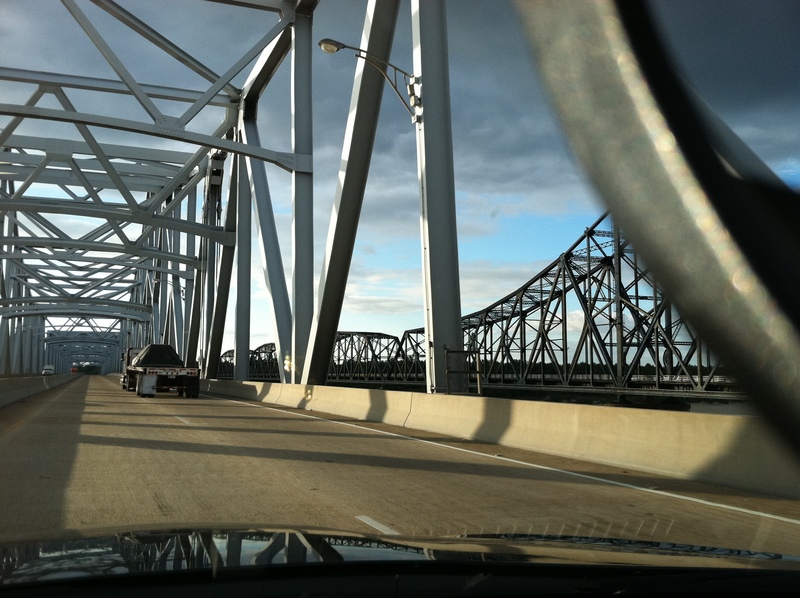 Crossing the Mississippi River into Louisiana. Vicksburg on one side. Village of Delta on the other.